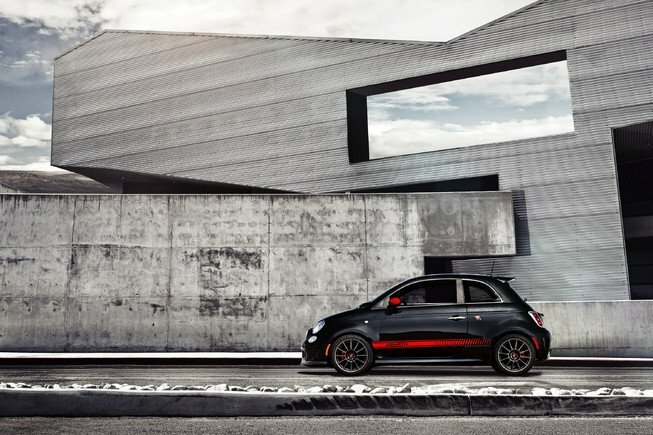 The Fiat 500 Abarth (badged as Abarth 500) is a more powerful version of the chic Fiat 500 city car, offering a racy drive in a tiny package. 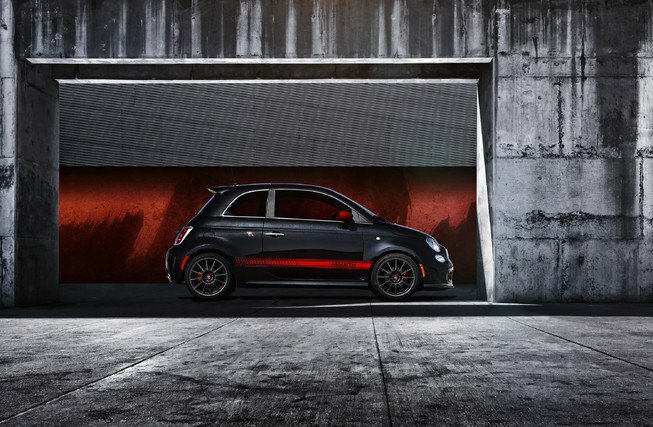 For the latest model year, 500 Abarth gains a five-inch touch screen that runs Fiat&apos;s Uconnect infotainment system. To create the sportiest of 500s, Fiat paid a great deal of attention to the minicar&apos;s suspension: the front and rear springs are stiffer than the standard 500&apos;s by 40 and 20 percent, respectively, ride height is lowered by 0.7 inches and Koni shocks have been installed up front. The front brakes have also grown an inch in diameter to 11.1 inches total. The result of all the changes is a car that turns in more eagerly, corners with a minimum of body roll and stops with authority. The modest output of the normal 500&apos;s 1.4-liter four-cylinder (101 horsepower, 98 lb-ft of torque) is increased to a stout 160 horsepower and 170 lb-ft of torque thanks to a turbocharger. The only transmission available is a five-speed manual, which sends power to the front wheels and helps the tiny Fiat attain sixty mph from a dead stop in under seven seconds. The options list includes a Safety and Convenience package that bundles automatic climate control, satellite radio and a security alarm. 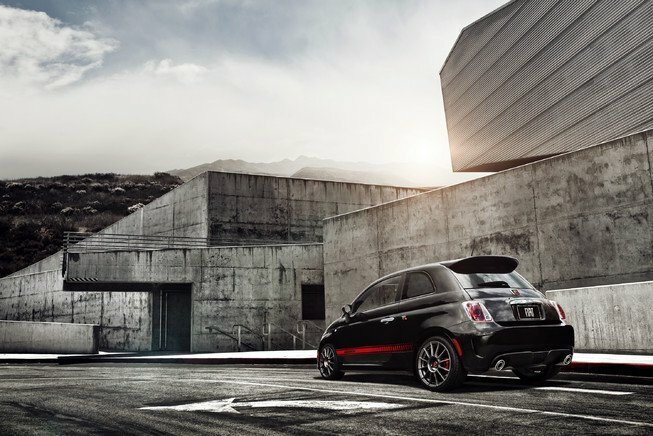 In addition to seven airbags, the 500 Abarth comes with smart pedals that move out of the way during a collision to better protect the driver&apos;s feet and legs. Traction and stability control systems are also fitted as standard, as is a tire pressure monitoring system. Alternatives to the 500 Abarth include larger and more powerful (but more expensive) models like the MINI Cooper S and the Volkswagen GTI.